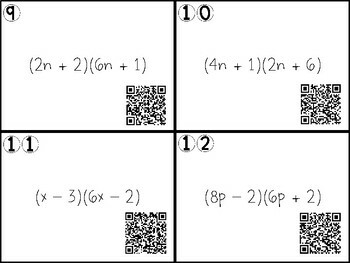 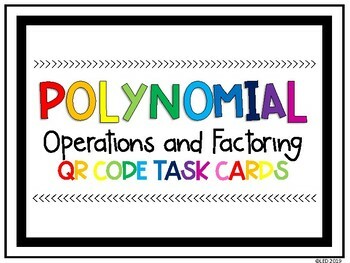 Use these task cards to practice polynomial operations and factoring of polynomials. 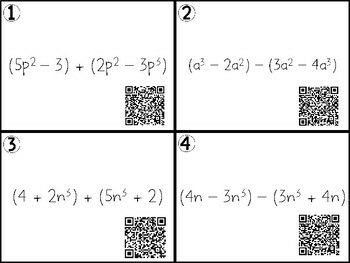 Each problem can be checked by scanning the QR code. 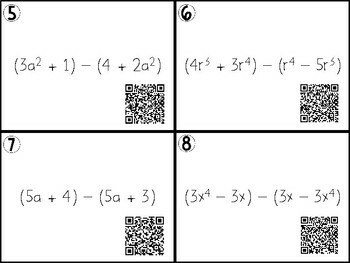 This freebie can be used in stations, whole group or small group games, and individual practice for early finishers.